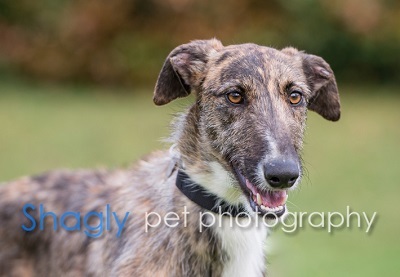 Sonnet is a brindle greyhound-mix female with slightly longer hair. 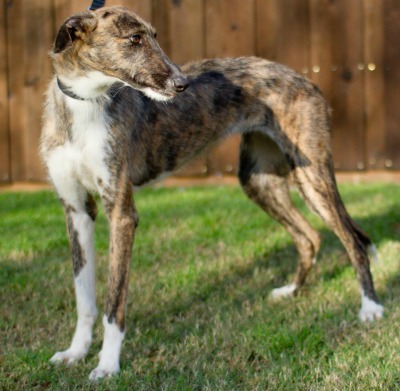 She was found as a stray in west Texas along with Haiku and Limerick. She is estimated to be 12 months old. DNA tests are being submitted for this sweet girl - stand by for results! She has not yet been tested with cats or other small animals. Sonnet has tested positive to heartworm and her treatment will begin soon. Sonnet received her first heartworm treatment on March 30. She is being kept very quiet (a challenge) in her foster home for the next 30 days at which time she will return for her second round of heartworm treatment. 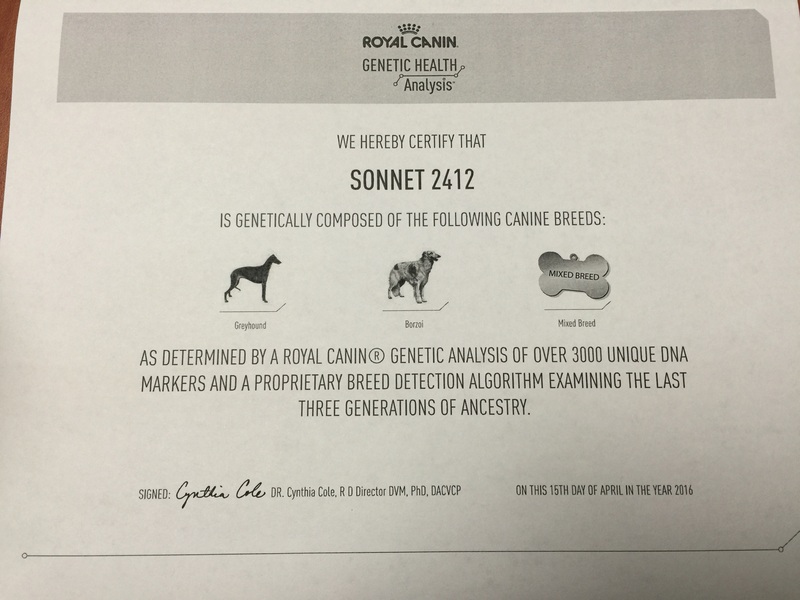 Sonnet received her second round of heartworm treatment on May 10 and May 11. 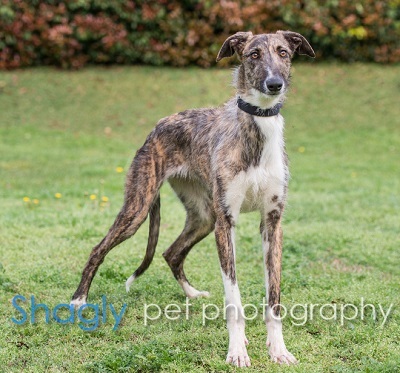 She tolerated the treatment and now is being kept very quiet in her foster home for the next 8 weeks. Sonnet is finally heartworm negative and has completed all her medical procedures. This girl is ready to find her forever home! The special medical treatment cost needed by Sonnet is why the Miss Mesa Fund was established. If you would like to help with Sonnet's care, please take a moment to make a donation to the fund. 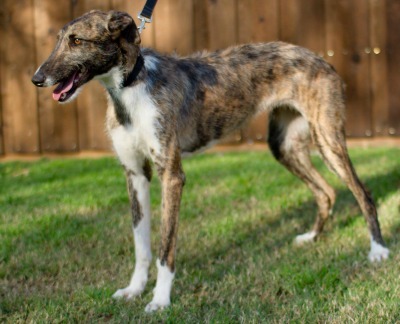 You WILL and CAN make a difference in Sonnet's life and the lives of other greyhounds in need of special medical care. Your help and support will make a difference - one greyhound at a time. Please note Miss Mesa Fund/Sonnet on your check.